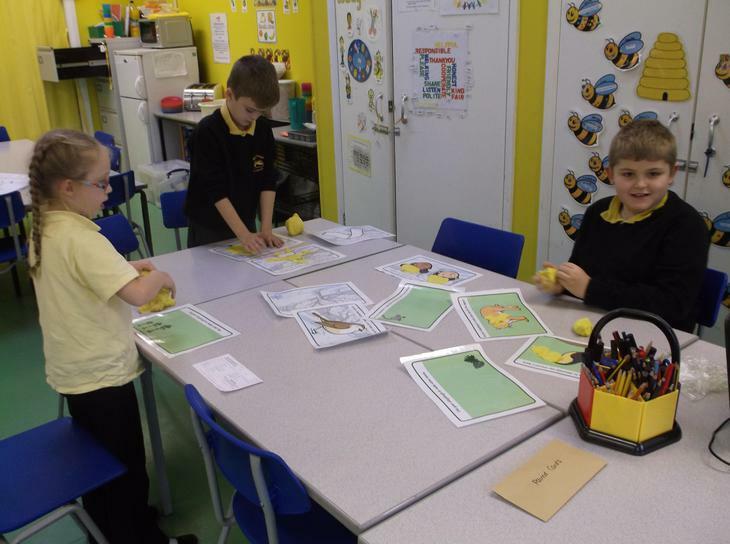 Our Nurture Group 'The Busy Bees' takes place every afternoon. 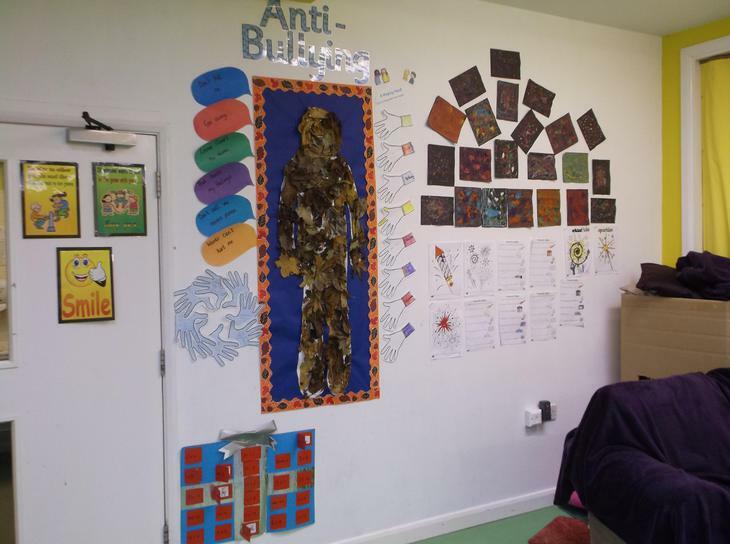 The Nurture Group develops children's social and emotional skills building on their self-esteem. We are lucky to have a designated area which provides a home-like, comfortable and secure environment. 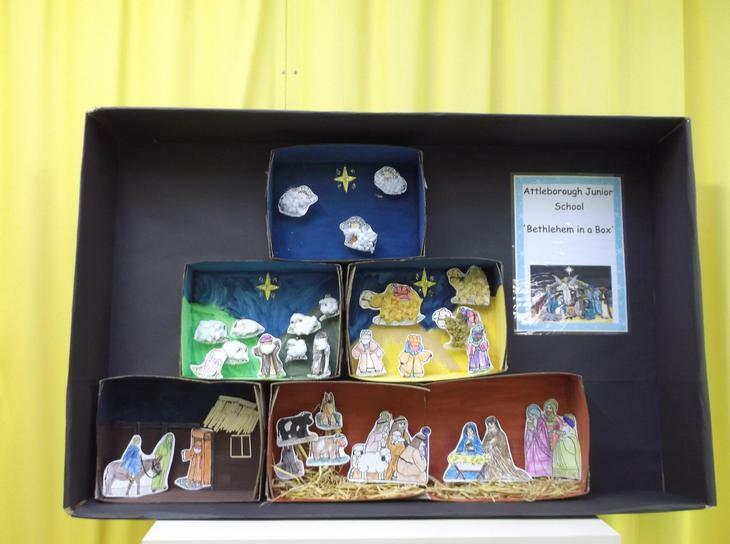 The sessions are run every afternoon and every child attends three afternoons a week. Children are assessed using the Boxall Profile, from this we devise social and development targets for each student. 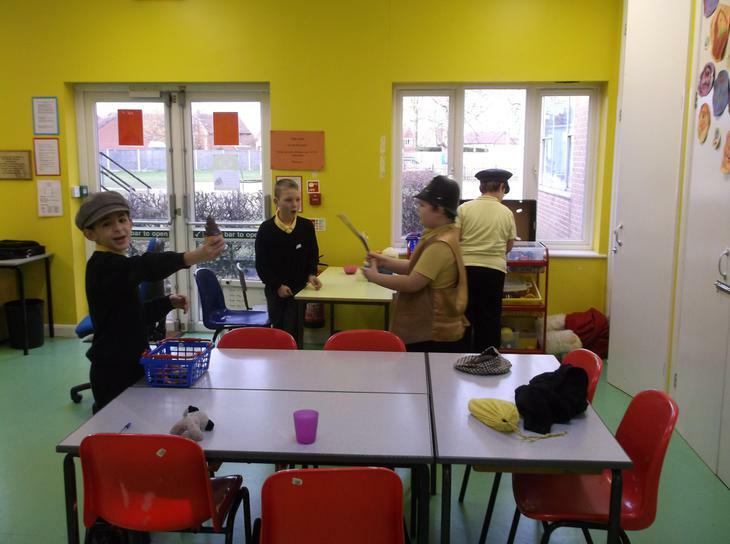 The afternoons are structured to meet the needs of individuals participating in activities that are cross curricular, and role modelled by two trained Nurture Group practitioners. During these sessions the children attending will learn and acquire skills to boost their well-being, enabling them to progress academically. 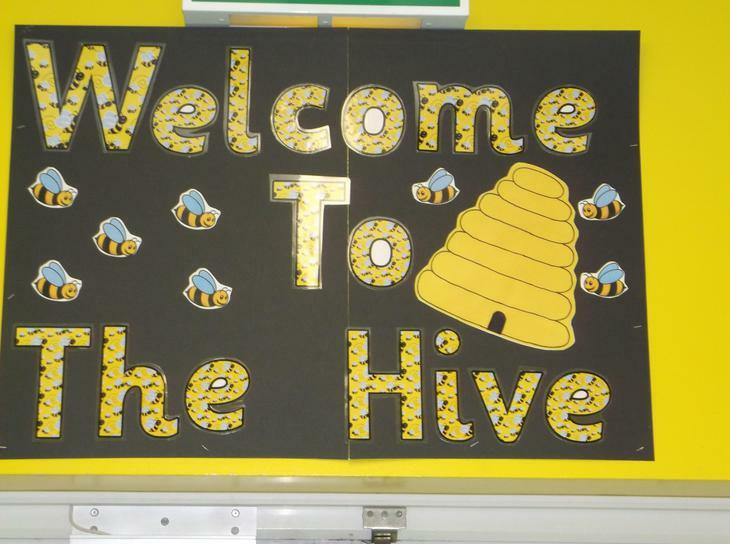 We are having a lovely time in our new home 'The Hive'. Just recently we had Anti-Bullying week and the children collected leaves to make our leaf man picture and came up with a slogan 'Leaf me alone'. 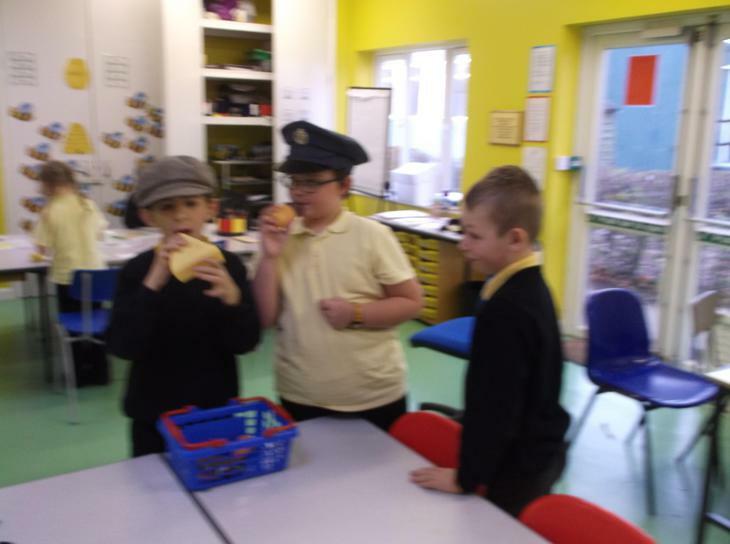 The children also enjoyed role-playing professions that help us and making pictures with play-dough.